Happy new year! We hope you had a lovely winter break full of celebration and playing many videogames, but it is time to return to the world of colourful heroes and payloads. 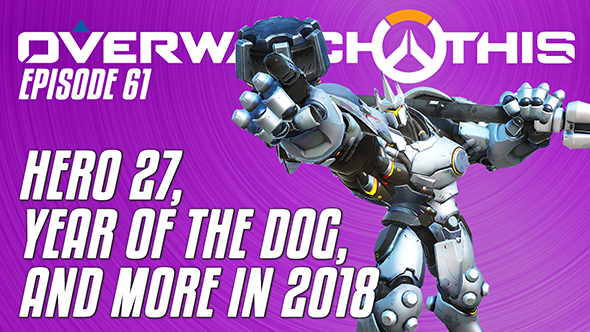 Yes, Overwatch This is back, and this week we are looking at Blizzard’s plans for 2018. Overwatch director Jeff Kaplan kicked the year off with a developer update that revealed Blizzard’s plans for the upcoming twelve months. Among them are improvements to the game’s base loot boxes, new events, changes to Competitive mode, and – as a crowd pleaser – a brand new hero. This week’s episode of Overwatch This takes a look at these plans and what we can expect from the new events.